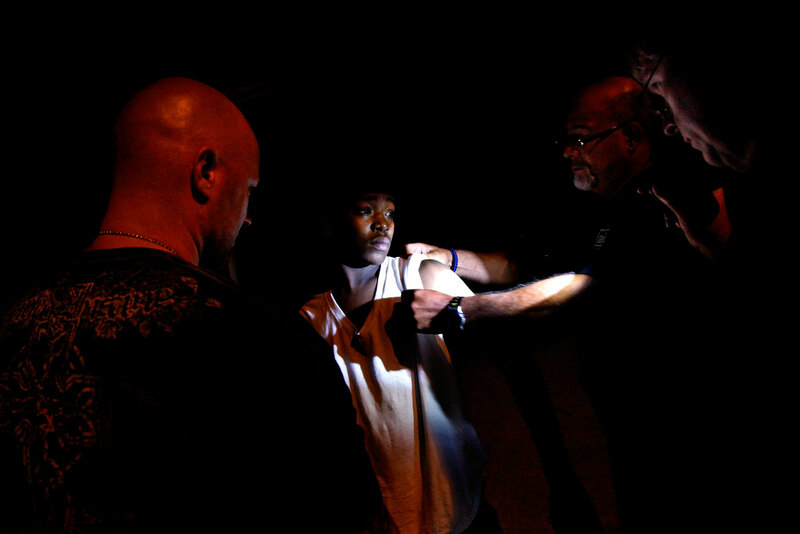 Norfolk Police gang squad investigators check Jaquawan Callender for any gang tattoos while questioning him in Ocean View. The gang squad keeps an eye on "hot spots" - known or suspected areas of gang concentrations - in an attempt to curtail activity. Investigator Rich Creamer (left) got his start in 2000, patrolling Ocean View and Norview. "Ocean View takes a bad rap, but the city's done a good job of cleaning it up," he said. "I can see the difference. Absolutely."